Who doesn't love great music? And there's nothing better than good ol' rock & roll. 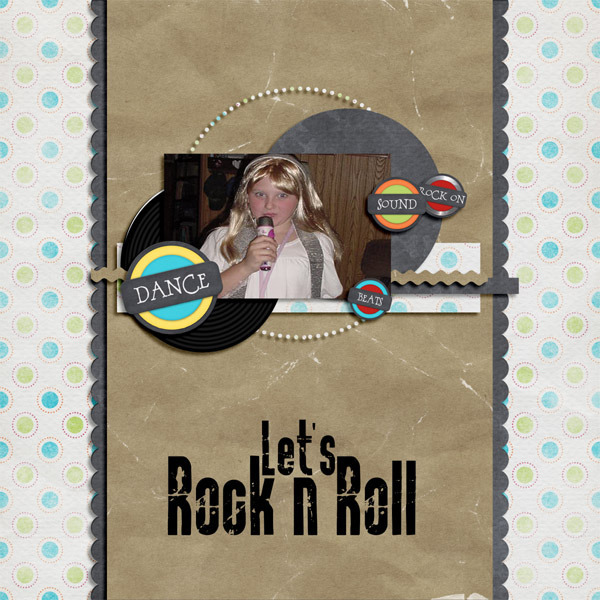 Introducing my latest word art kit, Let's Rock. 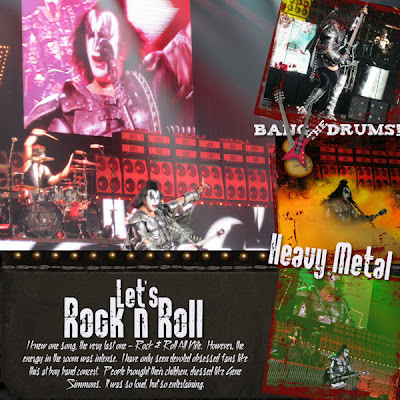 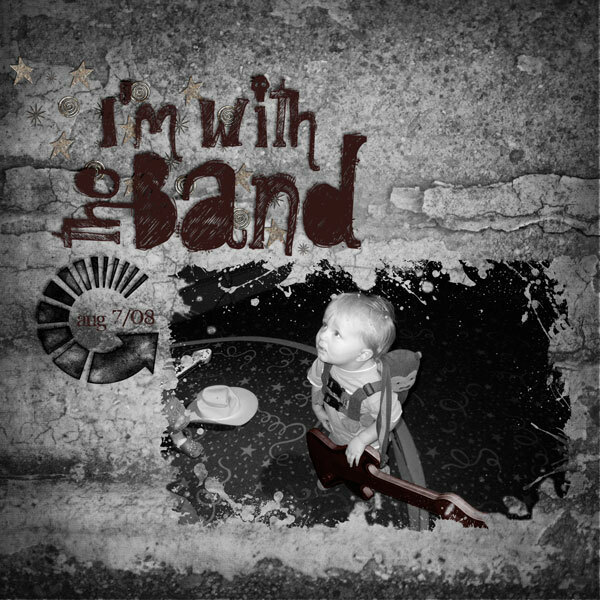 It contains 10 word art png files ranging from a garage band to rock, to metal, to country, to even hangin' with the band. And what's even better? It's on sale, 50% off today & tomorrow. 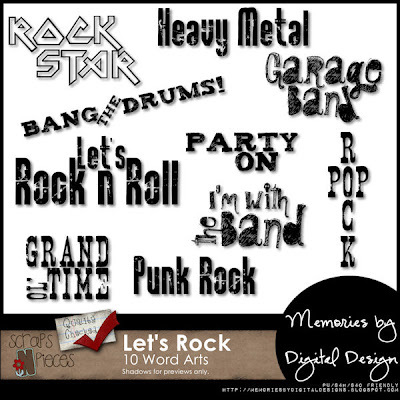 You know what kit would look great with these word arts? 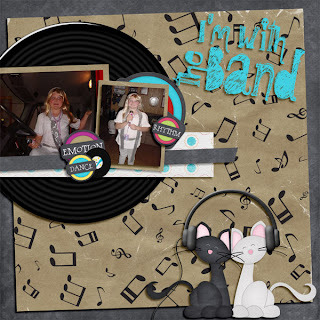 It just so happens Lori & Heidi (aka Scraps N' Pieces) just released their newest kit, Rock On. Check it out. 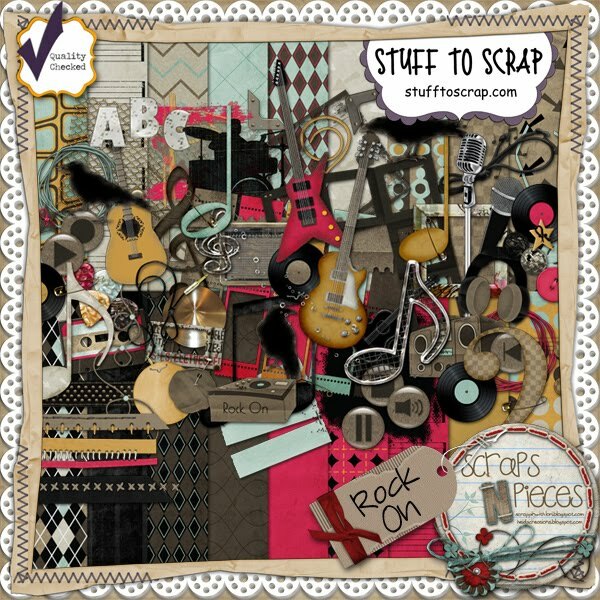 It can be found at Stuff to Scrap and My Memories, but is currently 50% off through October 1 at their own store Scraps N' Pieces. 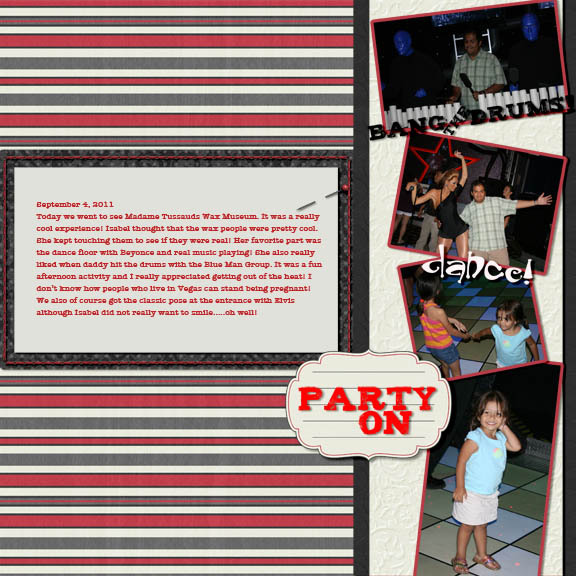 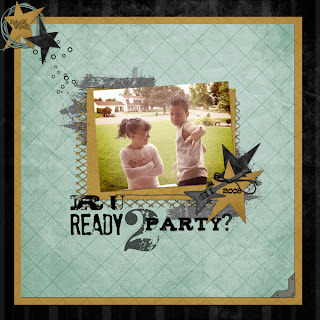 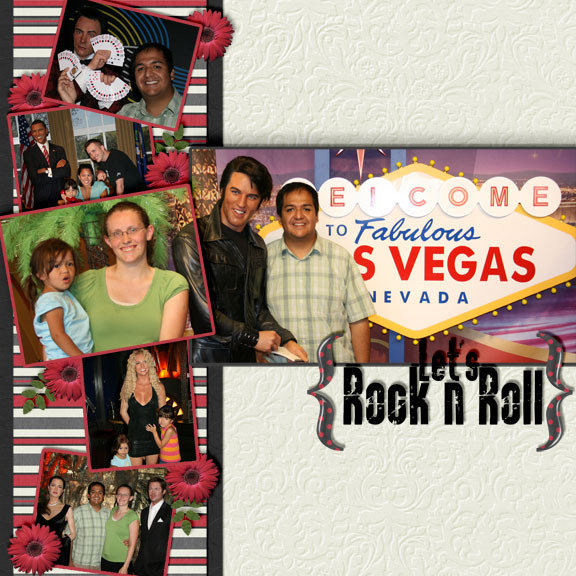 Here are my layouts I created with both Rock On & Let's Rock word art.